Inspect roof from outside and inside. Note any issues with framing of roof if visible. 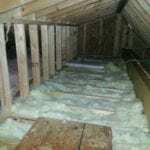 Check for sags and and any sign of inadequate framing or roof suppot. Inspect for cracks, heaving of floors, cold joints (improperly mixed concrete) walls that are caved in due to excess pressure from the outside, signs of efflorescence and any other defect that might effect the structure. 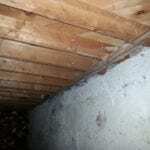 Note insulation under floor or lack of insulation. 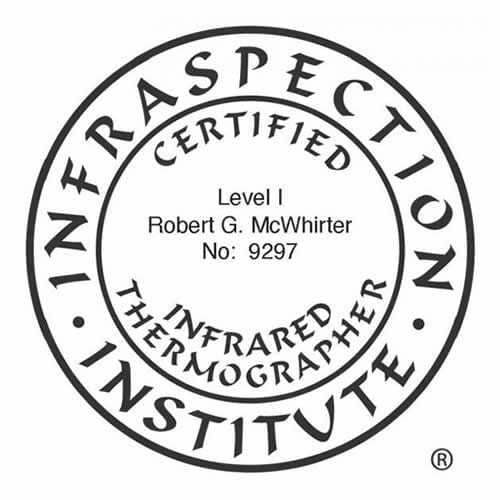 Inspect for insulation and note type and approximate R value if possible. Note any issues with lack of insulation or improper installation of insulation such as insulation being compressed, pushed into soffits where there are vents that need to be kept open. 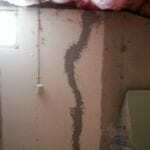 Check for damaged insulation, missing insulation and any condition that may degrade insulation R value.